Fashion Maven... Mommy: Sonia Kashuk Launches Knock Beauty! Sonia Kashuk Launches Knock Beauty! 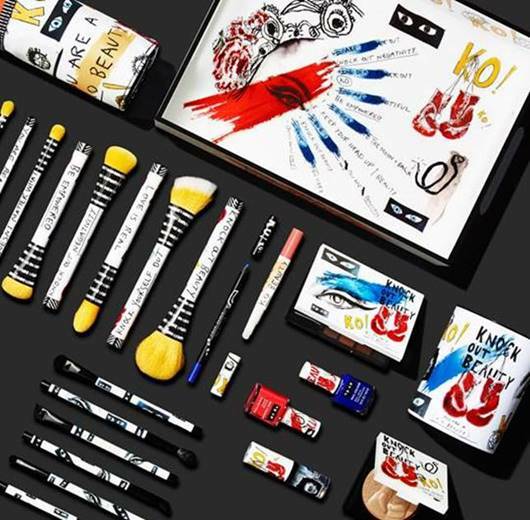 Sonia Kashuk is launching a highly anticipated limited edition collection at Target called Knock Out Beauty that has an empowering message for women. Sonia is kicking off a social campaign today with longtime friend Cindy Crawford and other industry insiders, artists and female athletes joining her on her mission to inspire women everywhere via Instagram. 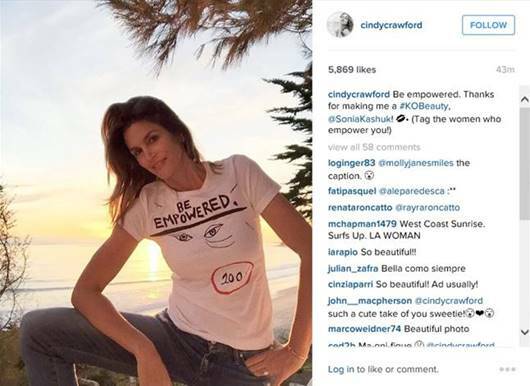 Cindy posted a #KOBeauty photo of herself, below, and throughout the day other “Knock Out Beauties” including celebrity hairstylistJen Atkin, fashion photographer Sophie Elgort, professional boxer Heather Hardy, singer/songwriter Alison Mosshart of The Kills, among others will post their own #KOBeauty selfies with messages of positivity. They will tag the women who empower them to pass it on. This collection, in my opinion, is not one to be missed! I'm heading to my local Target this week to stock up! First, the packaging is insanely beautiful! Second, i love the message behind this launch. We've all fallen victims of bullying at some point! I love the message Sonia is instilling by celebrating and empowering one another! As a beauty blogger, i'm often saddened when i read comments that are offensive not just on my own social media but other bloggers' whom i follow and respect. Why not empower and lift one another! Personally, i believe there is room for everyone to leave a lasting impression on the world so lets follow suit by "knocking out negativity"! Lets all help Sonia Kashuk relay this message to the world #KOBeauty!